Would you like some art with your morning latte? 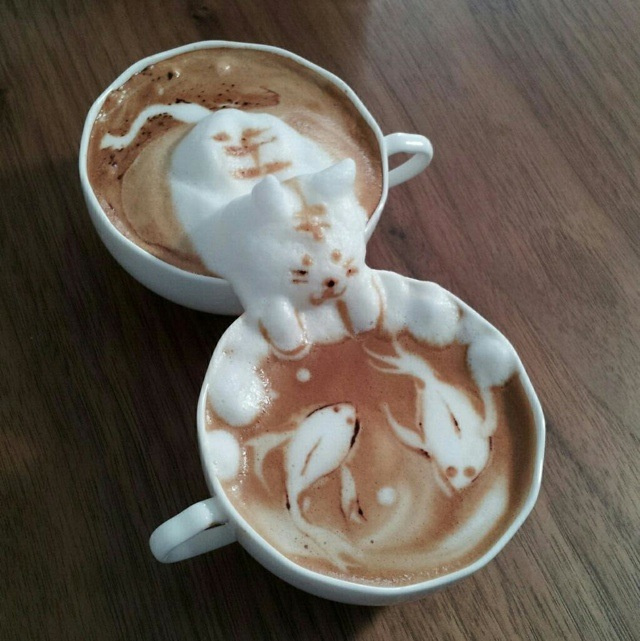 Check out these 3-D works of latte art from Osaka-based barista Kazuki Yamamoto. Yamamoto’s medium? Why, frothy steamed milk of course! From animals to pop culture characters these cool lattes could make pretty much anyone’s morning.